Understandably, most of this week’s post-Budget reaction focussed on two things – Osborne’s continuing failure to ameliorate Britain’s worsening structural fiscal position, and the introduction of the illiberal (and almost certain to be largely-ineffective) sugar tax. Less noticed, however, was how two Osborne announcements reveal, not only his ongoing attachment to the 1970s-style state-crony corporatism epitomised by (Lord) Michael Heseltine, but even his enduring fascination for Heseltine himself. To anyone familiar with the history of Heseltine’s political-economy, this should have rung warning bells. 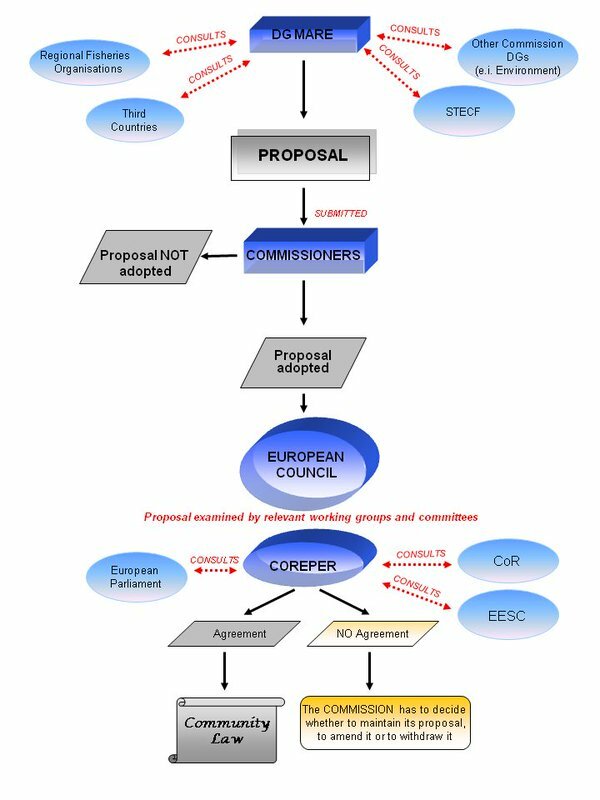 First, the very name “Thames Estuary Growth Commission” itself carries connotations of the semi-bureaucratic, state-interventionist, “Government picking winners” model of infrastructure development that Heseltine has long so admired (and of which more later). 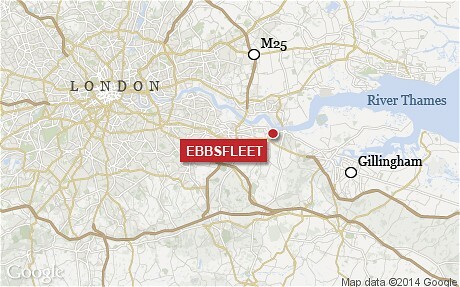 Second, it recalled Osborne’s previous, and underwhelming, foray into Thames Estuary development. In the 2014 Budget, he announced, to the now habitual fanfare, that “Britain’s first Garden City in 100 years”, including 15,000 houses, would be built at Ebbsfleet. Critics, however, soon pointed out that a mere 15,000 houses hardly amounts to a Garden City, plus the inconvenient fact that Ebbsfleet itself, sitting on a flood-plain with an average height of just 2 metres above sea level, bordering the Thames Estuary, might be a, shall we say, less-than-ideal site for a new Garden City. Two years later, just 65 of the planned 15,000 houses have been built. Its projected cost has risen inexorably from even the risibly-low estimate of £50 billion once peddled unconvincingly by the Government, which, astonishingly, excluded off-balance-sheet costs. It would have to be funded almost exclusively by borrowing, when the National Debt is already £1.5 trillion and rising. 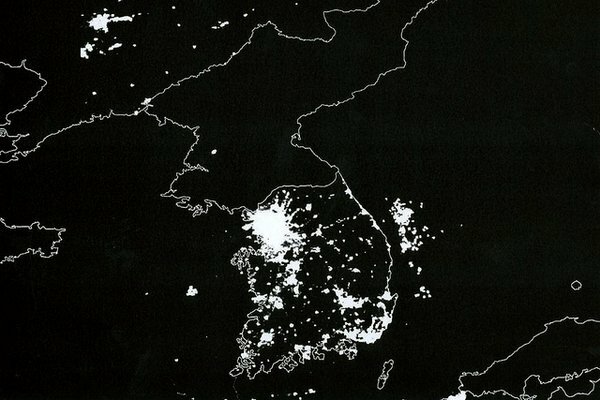 Its claims for economic regeneration of the North are dubious. It is, and is likely to remain, beset by planning approval disputes and housing-blight claims, for years. Its claimed service improvements could be met by lower-cost alternatives. 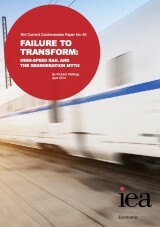 HS2’s flaws were comprehensively and forensically exposed by Dr Richard Wellings’ 2014 paper for the Institute of Economic Affairs. Turn now to Osborne’s National Infrastructure Commission itself. Who does one find adorning the ranks of its Commissioners? Why, none other than ……. Michael Heseltine. 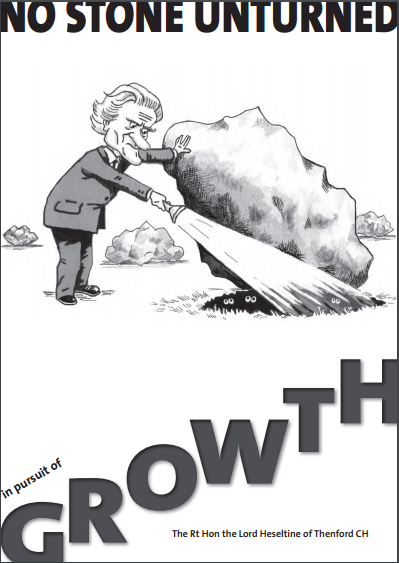 Heseltine was recruited into the Treasury, with Osborne’s approval, to “advise” on infrastructure development and urban renewal, because of his 2012 report “No Stone Unturned In Pursuit Of Growth” that purported to be a putative blueprint for stimulating economic growth. In its 89 recommendations, however, over 80 of which the Coalition accepted, it presented in miniature a picture of the interventionist-government corporatist state of the 1960s and 1970s: the decades in which Heseltine cut his political teeth, and for which its practitioners could, despite its manifest flaws, conceive no alternative. It showed that Heseltine remains an unrepentant apologist and enthusiast for Big Government: that his vision for stimulating economic growth is one of national industrial policy, governmental top-down oversight, regional-quango consensus investment, local council-level enterprise partnerships with spending grants. For Heseltine, Adam Smith’s invisible hand must, it seems, be subsumed within multiple layers of statist-corporatist glove. His is an approach that instinctively eschews solutions based on economic liberalisation, deregulation and free markets: like regional pay to mitigate any crowding-out effect of nationally-set pay rates, especially in the public sector, on local job opportunity uptake: like encouraging more non-State free schools and academies, with the freedom to adjust their curricula to make them attractive to students who will be seeking employment in the area: and like, above all, unblocking the planning process in which so many developments can get bogged down. He appears to favour what he termed “growth funds” being allocated through new Local Enterprise Partnerships. But given that the money would come from people and businesses via the tax system in the first place – Government has no money of its own – quite why government and the local quangocracy would be better judges of investment potential than savers, investors and businesses themselves was not explained. Not much of Gladstone’s enjoinder to let money “fructify in the pockets of the people” there. Heseltine’s recommendations were roundly criticised at the time by a Professor of Economic Geography at the LSE(! ), no less, as “a return to policies, many of them not particularly successful, that were developed in different times, to tackle different challenges”. It’s difficult to suggest these words don’t equally apply in 2016. The FT’s Janan Ganesh wrote in late 2012 that Heseltine’s prescription for encouraging infrastructure development was very much a Gaullist vision. This still resonates: Heseltine’s vision is more akin to France’s state-dirigisme of Les Grands Prôjets: yet it’s in France where the State’s share of GDP persists at an unsustainably-high 50+%, unemployment is at levels not seen for two decades, and competitiveness continues to fall. Osborne’s reverence for Heseltine is misguided, and counter-productive. To stimulate the infrastructure growth of the future, Britain needs, not reheated 1970s-style regional industrial policy predicated on state-interventionism, but a comprehensive supply-side revolution. We need a smaller state, lower, simpler and flatter taxes, less-onerous workplace regulation, a freer and more responsive education system, and a major reform of planning law. Sadly though, while we have a Chancellor of the Exchequer so ideologically in hock to Heseltine’s state-crony corporatism, that will remain an impossible dream. “Events, dear boy, events”, former Prime Minister Harold Macmillan is reputed to have replied when asked to predict the factor most likely to derail his political plans. He meant “the unexpected”: in modern political parlance, the “unknown unknowns” that can, and almost always do, erupt, unforeseen, seemingly out of nowhere, to blow the most carefully-crafted plans off course. Chancellor of the Exchequer George Osborne could be forgiven for spending more time than usual ruefully recalling Macmillan’s remarks at the moment. Because, since the start of 2016, his plans for his own political advancement have been derailed spectacularly, to an extent which, on 1st January, he can surely scarcely have imagined. Yes, partly by some of those unknown unknowns: but, ironically, also by his own blunders. His stature and authority are crumbling astonishingly, virtually on a daily basis. Yet, contemplated from Osborne’s New Year’s Day breakfast table, 2016 must have looked satisfyingly promising. First, Budget Day on 16 March would give him the opportunity to continue the centre-leftwards tack started in his 2015 Autumn Statement, designed to capitalise politically on Corbynite Labour’s charge towards hard-Leftism, by hoovering up disaffected Blairites and Labour moderates into the Cameroon social-democracy-leaning Big Tent. Second, David Cameron would round off his tour of European capitals pressing for EU reforms at the Brussels EU Heads of Government Summit over the weekend of 19-21 February. True, he’d return with only trifling and essentially cosmetic reforms. But, accompanied by some lurid Brexit-alarmism, a Cabinet united in campaigning for Remain, and a “helpful” media narrative, they should be just enough to persuade a risk-averse British electorate to vote to stay in the EU. Clearing the way for Cameron to resign in triumph as Prime Minister and Party Leader some time in 2017 or 2018, and leaving Osborne in pole position to see off any challenge and ascend to No 10. Except it hasn’t quite worked out like that. In fact, it’s rapidly going pear-shaped. “Events, dear boy, events”. 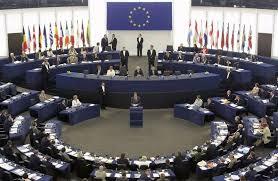 Take the EU “re-negotiation”. Yes, Cameron did indeed return from Brussels with a “reform” deal: but one of such abject and transparent paucity, ineffectiveness and unenforceability, that it had unravelled, and been both rightly exposed and excoriated for it, within 72 hours. And to such an extent that the Government’s official Remain campaign strategy adopted, almost from Day 1, what had been hoped would be the back-up strategy of Project Fear. 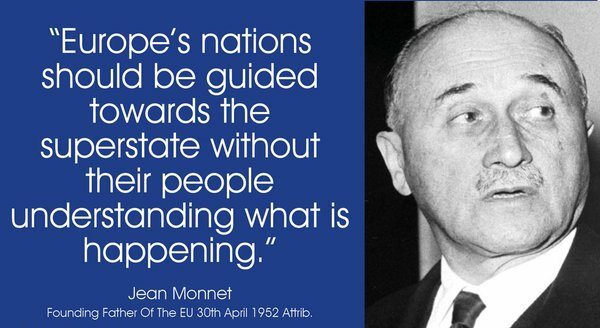 Any plausible pretence that there is a “reformed” EU at all has been dropped. Brexit-scaremongering Project Fear, to all intents and purposes, is the Remain campaign. Then, from Osborne’s point of view, came the bombshell. He must surely have reckoned that both Boris Johnson and Michael Gove would be reliably on side, fully signed up to the Government’s official position, as fellow-advocates for Britain staying in even the risibly non-“reformed” EU that was on offer: Boris because of his general pro-EU and internationalist outlook, including a desire to see Turkey in the EU, and Gove because of his personal loyalty to Cameron. 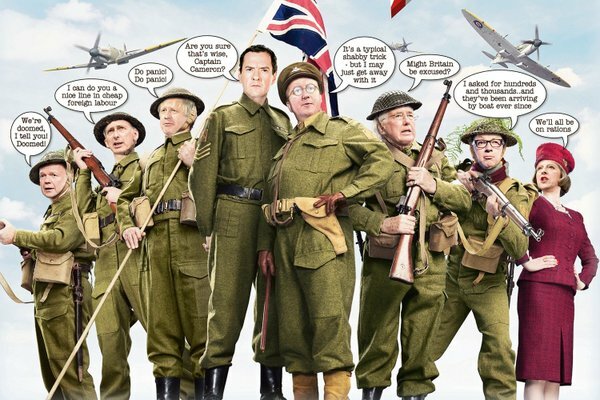 Before the Brussels summit of 19-21 February, even this political cartoon was circulating: the Party heavy-hitters, including Boris and Gove, lined up, Dad’s Army style, in Captain Camwaring’s pro-EU Home Guard platoon. Not any more. Because in fact, the opposite happened. Boris, after much public and private agonising, declared for Leave, and Gove, with what must be one of the finest personal statements to grace British politics for a very long time, did the same. Those two “defections”, I suspect, rocked Osborne back on his heels: not just on account of their unexpectedness, but also because of their implications, both for the EU Referendum itself, and consequentially, for Osborne’s own political future. On the Leave campaign, to Boris’ public appeal is added Gove’s principled integrity and intellectual heft. They make the outcome of the Referendum far closer and far less predictable: that the Government and Remain could actually lose it, and that Leave could triumph in a vote for Brexit, really isn’t beyond the bounds of possibility. If that happens, despite his bluster, Cameron would, politically, be Dead Man Walking: and given that their political ideologies and fortunes have been so inextricably linked for 25 years, that means Osborne would too. Even with a wafer-thin Remain win, Cameron’s credibility, and thus Osborne’s, will be seriously damaged: the latter’s, possibly fatally, with intra-Party talk already being that the next leader will almost certainly have to come from the Party’s pro-Brexit wing. No wonder Osborne has suddenly seemed such diminished figure, thrown off balance, ever since. His prospects of following his planned and mapped-out route of a smooth ascent to No 10 in the wake of a benignly-departing David Cameron have suffered a severe blow: they may even be receding, a victim of Boris’ burgeoning popularity with Party members and activists since his ostentatious and publicity-maximising conversion to the Brexit cause. And it gets worse. Because, intriguingly, in only the barely three weeks that have elapsed since the denouement of these events, a gaffe-prone Osborne has been either been caught out and had to retract hubristic claims, or forced to execute a sharp policy U-turn in an humiliating climb-down, or experienced an open challenge to his authority and rebellion from his own backbenchers, on no fewer than seven separate issues. First, the Google tax deal. A clearly pleased-with-himself Osborne made extravagant claims for the £130 million agreement he had reached with Google, presumably on the calculation of reaping political capital from the vocal lobby opposed to any (entirely legal) tax-avoidance by multinationals. That soon unravelled, however, with the revelation that it covered a full 10 years of back taxes and amounted to an effective tax rate of only 3%, against the UK standard corporation tax rate of 20%. It concluded with scathing criticism of Osborne from his own backbenchers, both the Commons Public Accounts and Treasury Committees launching separate inquiries, and both Google and HMRC being asked to re-appear before them. Google, meanwhile, are reportedly furious with Osborne for making self-aggrandising claims which have given them additional poor publicity. Second, the claims of extra tax revenue from the lower top rate. Osborne boasted that an additional £8 billion in tax revenue had been generated from the reduction in the top rate of tax from 50% to 45%, attributing the entire amount to the rate change. Unfortunately for him, that was quickly challenged as “precarious” by none other than the Institute for Fiscal Studies, on the grounds that it ignored any deferment factor and was more a one-off gain than a systemically-permanent windfall. We have heard no more about it. Third, the planned tax-raid on pensions. Osborne had been planning a very Gordon-Brownian stealth-tax: to abolish higher-rate tax relief on pensions, and lower the threshold at which money invested in a pension pot starts to attract high, almost penal, rates of tax. The entirely predictable backbench uproar duly ensued, with Osborne’s plans being rightly denounced as simultaneously both economically-incompetent – disincentivizing prudent retirement saving – and politically-inept – targeting a natural Tory electoral constituency. They have been dropped. 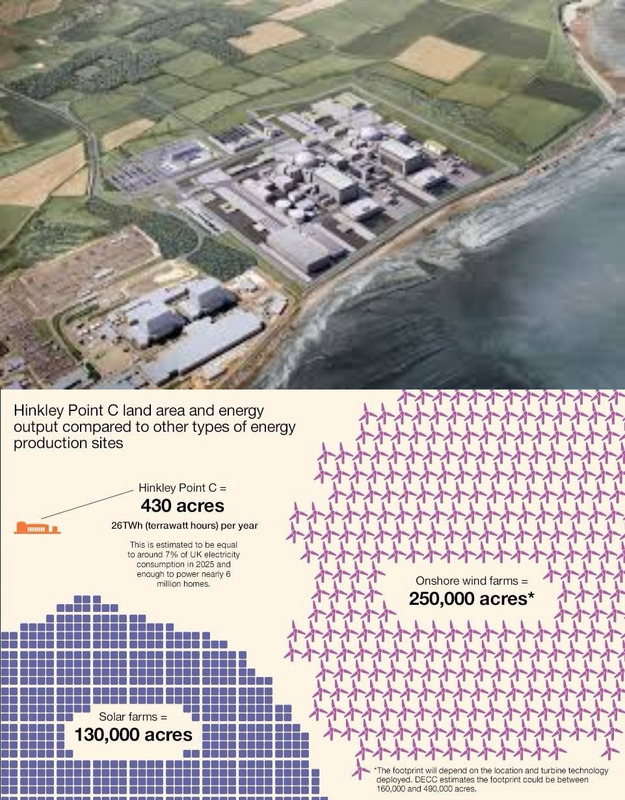 Fourth, Hinkley Point Nuclear Power Station. This was announced with much fanfare by Osborne on his September 2015 trade visit to China. The deal, was, though, subject to a £2 billion taxpayer guarantee to EDF, without which they would have struggled to secure project finance, and immediately attracted informed criticism because of its capital intensiveness and cost per MWh of output. It’s now emerged that the building cost has roughly trebled, the strike-price per MWh for its output has doubled, and the start date has been put back 8 years: all within 6 months. The calls for it to be scrapped as an expensive and uneconomic white elephant are growing. Fifth, the G20 warning against Brexit. 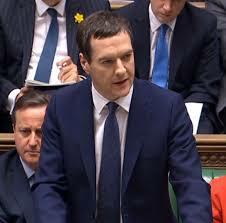 At Osborne’s initiative, the plan was for the G20 group of advanced economies to warn Britain against exit from the EU. 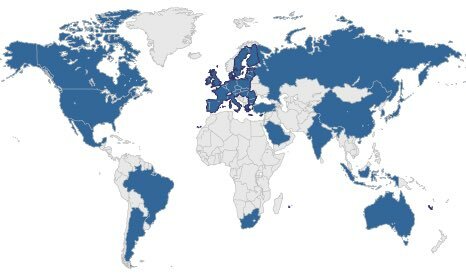 That quickly collapsed, to widespread derision, when commentators pointed out the inconvenient fact that 16 of the 20 G20 countries are actually outside the EU, yet self-evidently still manage to be in the top 20 economies globally. Prompting the question: how could they then credibly warn Britain, the 5th largest, that it must be inside the EU to ensure its very survival? Silence. Sixth, this week’s Sunday Trading liberalisation débacle. Despite being warned of the likelihood of both the SNP yet again ignoring their pledge not to vote in Westminster on what are devolved matters in Scotland, and an incipient Tory backbench rebellion, Osborne nevertheless determined to push the Bill through the Commons. When it became apparent that the SNP and Osborne’s own backbenchers would indeed carry out their threats, there was a ham-fisted attempt to water down the Bill’s provisions, culminating in an humiliating rebuff from the Speaker who refused to accept a related Motion. 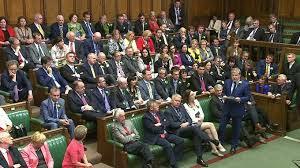 SNP MPs duly supported Labour, the Tory rebels duly rebelled, and an embarrassing defeat for the Government, plus the loss of the liberalisation measures, was the outcome. Seventh, another Tory backbench revolt, against another Osborne tax rise, this time on motor fuel duty. 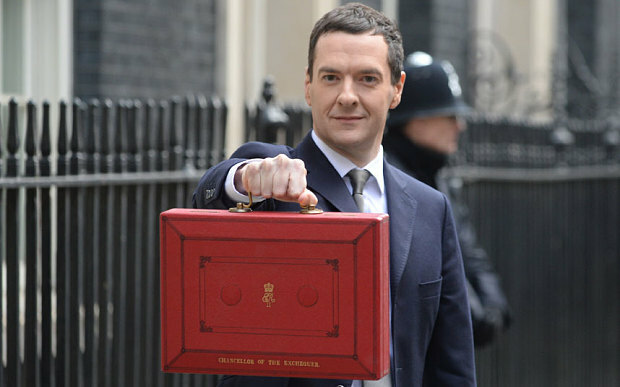 Despite 74% of the pump cost of a litre of diesel or petrol now comprising tax, Osborne, it appears, had planned to use next Wednesday’s Budget to increase the duty even further. Cue the now normal resistance movement, by up to 150 MPs, and the plans for a hike in the duty are reportedly being shelved. These kinds of setbacks aren’t unprecedented: Osborne has had wobbles before. Think of the Pasty Tax in the 2012 Omnishambles Budget: a previous attempt to raise fuel duty with effect from January 2013 which similarly had to be abandoned on backbench pressure: and the tax-credits imbroglio of 2015, when an Osborne converted, we were told, to “listening mode” was equally forced into an embarrassing retreat. 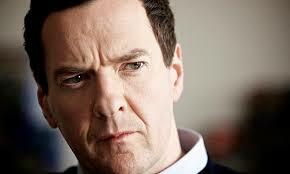 But Osborne’s present troubles look and feel different, quantitatively and qualitatively. Quantitatively, because they’ve been coming thick and fast – no fewer than seven, and in just three weeks, which, I’d venture to suggest, is unprecedented. Qualitatively, because they contain an element which hasn’t been present in earlier iterations – a ready willingness, particularly among Tory backbenchers, not merely to voice misgivings, but vocally and robustly to resist, rebel, criticise and take to the media to denounce the Chancellor’s proposals in no uncertain terms, both as economically-disadvantageous and politically-inept. The latter charge being especially ironic, and wounding. Because Osborne is, above all else, a Political Chancellor, far too prone to seeing virtually every aspect of economic and fiscal stewardship through the prism of partisan political triangulation. The shameless stealing of Blairite clothing in the form of a National Living Wage (aka, arbitrarily raising the floor price of labour to employers by State diktat) is but the latest example. 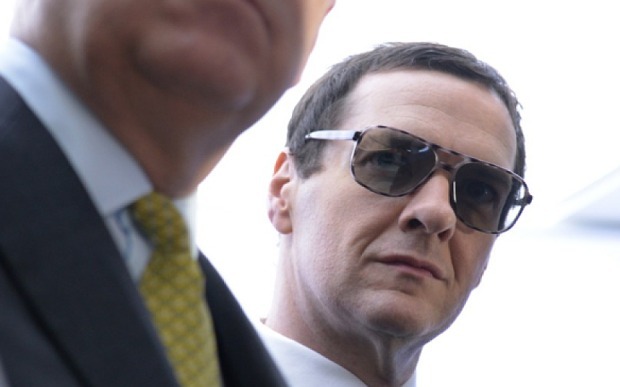 Osborne has long been lauded – not least by himself – as a political master-strategist. But, in truth, his excessive concentration on it, to the detriment of his economic and fiscal stewardship, has had decidedly mixed results. He’s been allowed to get away with increasing the National Debt by more in five years than even that preposterous antithesis of fiscal rectitude, Gordon Brown, managed in thirteen, largely because, when only 6% of the population know the difference between deficit and debt, few votes were risked by it. Yet being master-strategist for two elections, 2010’s not won, even against Brown, and 2015’s, not expected to be won, but won mainly out of voters’ fear of a Labour-SNP government, tell a different story. As does the prevalence of the “austerity” narrative, despite the lamentable pace of deficit reduction. During the 2010-2015 Coalition, the overall rate of public spending reduction was a miserable 0.4% pa in real terms: supposed political master-strategist Osborne, however, succeeded in being portrayed as the heartless architect of Victorian-workhouse austerity, for the macro-fiscal equivalent of reducing a weekly £200 shopping bill by 80p. So the last month’s acceleration in the decline of Osborne’s standing is partly an overdue reckoning: but its litany of serial hubris, politico-economic miscalculation, U-turn and climb-down, in just 20-odd days since the shock of Boris’ & Gove’s defection to the Brexit cause, have notably exacerbated its visibility. The wider appreciation of his Brown-like inveterate political-meddling and fiscal neo-Keynesianism, stealth-taxes and all, mean that the “Osbrowneomics” and “Osbrowne” memes are gaining wider currency. 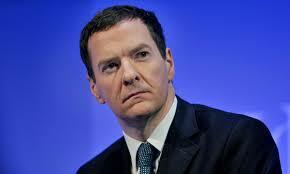 As each successive Tory backbench anti-Osborne rebellion yields results, his critics are becoming more emboldened. They’re getting a taste for it, scenting blood. Osborne suddenly looks at bay, haunted, error-prone, wan, vulnerable, yesterday’s future, a fast-diminishing figure, in a way few can have predicted on 1st January. 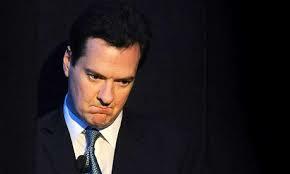 He really is The Incredible Shrinking Chancellor, his stature and authority crumbling daily before our eyes.